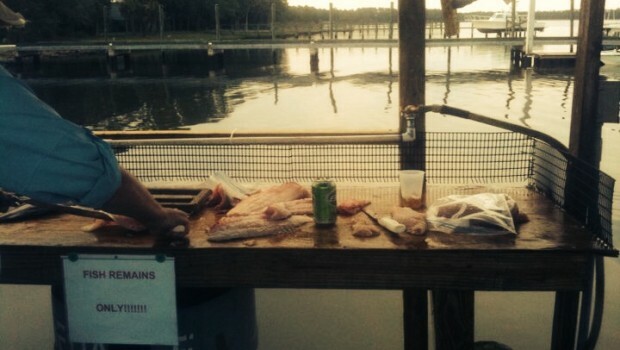 Eventually your going to want to clean some of the fish your catching. And the first thing your going to need is a good fillet knife. There are tons on the market from big name brands like Rapala to cheap ones from the big box stores. Dexter Russell fillet knives with the white handles are durable, reasonably priced and work well for me. 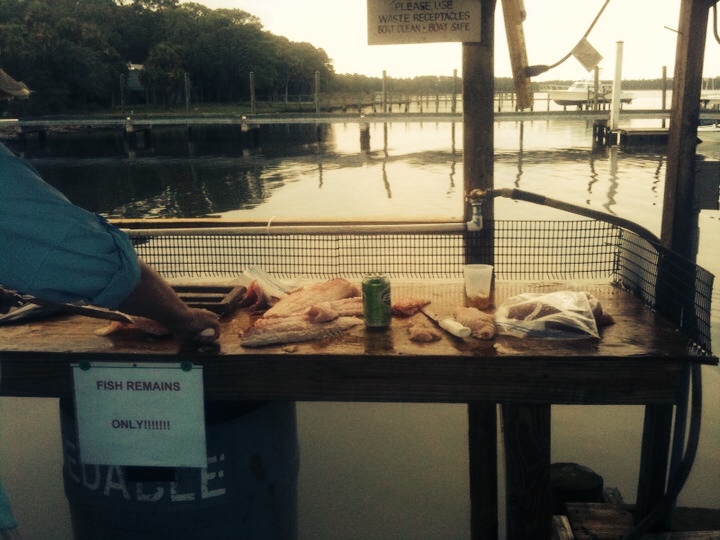 Cleaning trout flounder and other smaller fish a 6″ fillet with a lot of flex works best. 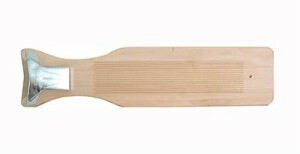 They are sharp enough to cut through the rib cage and flexible enough to make skinning the fillet easy. For Grouper, Snapper and Redfish your going to need something with more backbone. 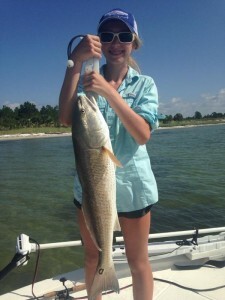 I have an 8″ serrated for the tough bony fish- grouper and reds. The serrations will cut right through thick skin and bone. That’s especially important when your cutting through the rib bones of a large fish. After the fillet is off the fish I switch to a 8″ smooth fillet for skinning and trimming. A fish cleaning board acts like an extra set of hands and makes the task a lot easier. It has a clamp on one end that will old the fish by the head or tail. And a glove will save your hand from cuts and nicks. A lot of guys wear orange gloves that offer a good grip. 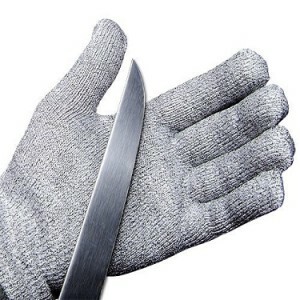 But, I prefer some of the cut resistant gloves like the gray ones below.